The leaves are changing colors, flavors have moved to pumpkin and spice and the air has cooled slightly. 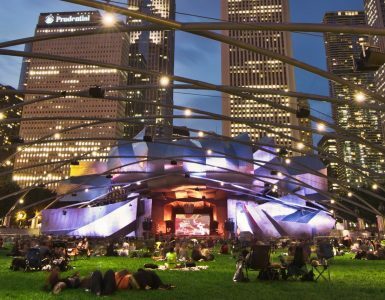 While the season has officially changed to fall, Chicago remains a hub for exciting events. 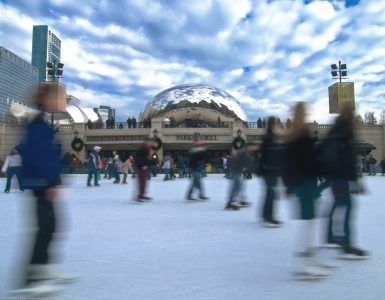 Enjoy this list of Things to Do in Chicago this October compiled by our Concierge team. Showcasing the best in international cinema, the Chicago International Film Festival has opened windows to a world of film previously or otherwise unavailable in Chicago. All of the films are premieres in Chicago and many are premiers worldwide. Many of the films shown during the festival will never be widely distributed so this provides a unique opportunity to discover a range of films that would otherwise be unavailable to many people. In addition to viewing the films, filmgoers may have the chance to meet directors, actors and actresses who introduce their films and hold discussions after screenings. The Festival opened in 1965 at the Carnegie Theater, where King Vidor, Bette Davis, and Stanley Kramer were honored for their contributions to American cinema. 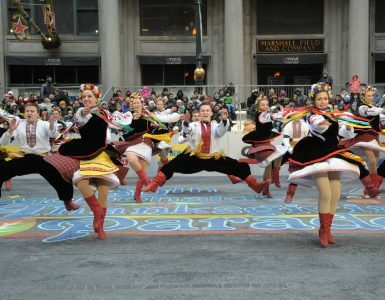 Since then, the Festival has grown to become a world-renowned annual event. The Festival’s in-person tributes have honored such international luminaries as François Truffaut, Orson Welles, Sophia Loren, Rainer Werner Fassbinder, Satyajit Ray, Howard Hawks, and many many more. The festival also has a rich history or discovering hundreds of ground-breaking directors such as: Martin Scorsese, John Carpenter, Susan Seidelman, Victor Nunez, and the list goes on and on. The Open House Chicago presented by Chicago Architecture Foundation gives people the opportunity to view architectural wonders for free! This public festival offers behind-the-scenes access to more than 200 buildings across Chicago. Sites include the Elks National Memorial, the Chicago Architecture Foundation, and the Chicago Board of Trade Building. The Open House Chicago will also include performances, discussions and family-friendly activities. The Bank of America Chicago Marathon is the pinnacle of achievement for elite athletes and everyday runners alike. On race day, runners from all 50 states and more than 100 countries will set out to accomplish a personal dream by reaching the finish line in Grant Park. Whether you are planning to support a specific runner or looking to cheer on the masses, the official Chicago Marathon website has all the information you need to prepare for race day viewing along the course or from home. Click HERE for spectator information. Sofitel Chicago Magnificent Mile welcomes runners and supporters by featuring special high carb specials in the Café des Architectes on Friday and Saturday nights as well as offering a complimentary buffet of bottled water, Gatorade, fresh fruit and energy bars on Marathon Day, October 8th, from 5:00am until 6:30am. For 41 days, all things wine will be celebrated at Sofitel Chicago Magnificent Mile for the annual Sofitel Wine Days – an observance of wine at all Sofitels worldwide. Sofitel Chicago Magnificent Mile, Café des Architectes and the newly renovated Le Bar will all participate with wine themed events and specialty menus.